Even though Summer is coming to end, it is not too early to think of your next Summer Vacation. Growing up on Sanibel Island, I have first hand knowledge of this little treasure off the beaten path. Florida is a wonderful vacation destination. From amusement parks to beaches, Florida offers a wide variety of destination options. While the panhandle is a great getaway, another small Florida treasure sits on the Gulf of Mexico in SW Florida. This area is Sanibel and Captiva Islands. Located on the Gulf of Mexico, just two hours South of Tampa, these islands offer a quiet and relaxing atmosphere. Offering 250 different kinds of shells, 230 kinds of birds, 15 miles of beaches, 25 miles of bike paths and 0 traffic lights. This low key island doesn’t have any buildings over four stories tall, and no fast food chains or large shopping malls. This is the perfect vacation spot for families, couples or just a friends getaway. These beaches are unique barrier islands with sandy beaches and great shelling. In fact, you will many islanders doing the “Sanibel Stoop” which is bending over to collect seashells. 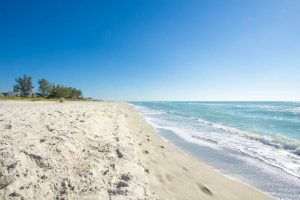 Sanibel and Captiva are natural islands, so there are no food vendors, cars or anything that can disrupt wildlife on the islands located on the sandy beaches. Think of this as a Back to Nature island. Biking- Sanibel Island offers 25 miles of bike paths. Fishing- Sanibel and Captiva Island offer off-sore fishing, fishing guides and charters, inshore/back bay fishing and fly fishing. Golf- Sanibel Offers two public 18 hole golf courses. The Dunes of Sanibel and Beachview. J.N. Ding Darling- Four mile, one way road through wildlife refuge featuring birds, mammals, reptiles, amphibians and more. Island Cinema- Two screen movie theater offering leather seats and first run movies. Watersports- Rent a boat for the day, take a tour of the islands, paddleboard, parasail or rent a wave runner. 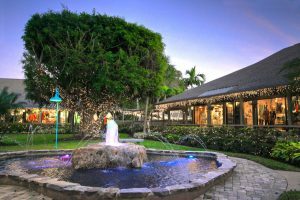 From a quick bite to eat, to fine dining, the dining options are endless on Sanibel. Visit Doc Fords Rum Bar and Grille to feast on local gourmet food, check out the Lazy Flamingo for fresh seafood and a good time. For a little dessert, visit Pinocchio’s Original Ice Cream and sample favorites as the Sanibel Krunch, or Dirty Sand Dollar. With over 50 restaurants to choose from on Sanibel, you will be sure to find something for everyone’s tastes. The most popular type of accommodation on the islands are private owned vacation rentals. These rentals are sprinkled throughout the islands either directly on the beach, or just a short bike ride. Accommodations range from studio condos to large gulf front seven bedroom homes. While vacation rentals are popular on the island, there are also several hotels to choose from. Since the island is small and charming, none of these hotels go over 4 stories and offer quaint accommodations. With accommodations ranging from one bedroom cottages to seven bedroom mansions on the beach, there is something for everyone. You will not find any malls, or large retail companies on the islands. What you will find are locally owned and operated boutiques, grocery stores, and specialty shops. Take a stroll through Periwinkle Place offering 26 shops, restaurants and day spa all situated in a park like setting. 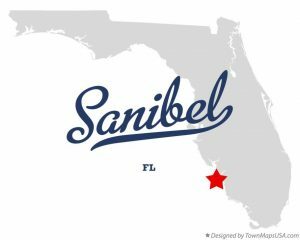 Whether you are looking for jewelry, clothing, art or just some fun memorabilia, there is not a shortage of shopping on Sanibel. The post Looking for a getaway? appeared first on Tiffany Orsino.